Great for GIFTS or just for yourself! Our Finest Quality socks at the Best Price! Both Camillus and the Boy Scouts of America present this knife collection as the best single blade Eagle Scout set we have ever made. Tough enough to be your everyday companion, finely crafted enough to display as a showpiece for generations. The Camillus collection of Eagle Scout Knives is designed for every rugged outdoor enthusiast looking for a dependable and long-lasting knife. They were created with the values of Scouting and the Scout Motto in mind. You don't want to sew on those patches or hem pants, so let us do it for you with our in-house sewing service! 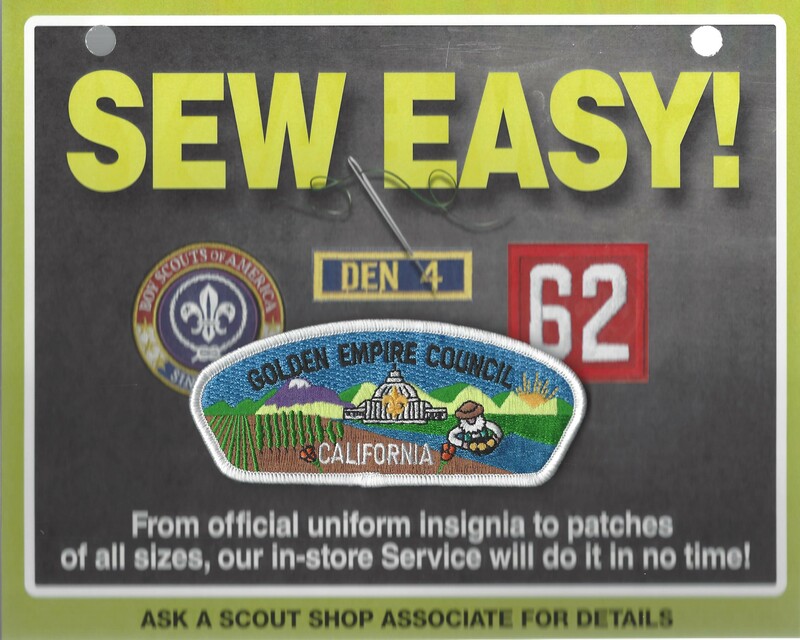 CONTACT RIVER CITY SCOUT SHOP FOR ALL THE DETAILS.